Spring is in full swing, and I’m thinking of colorful cards. 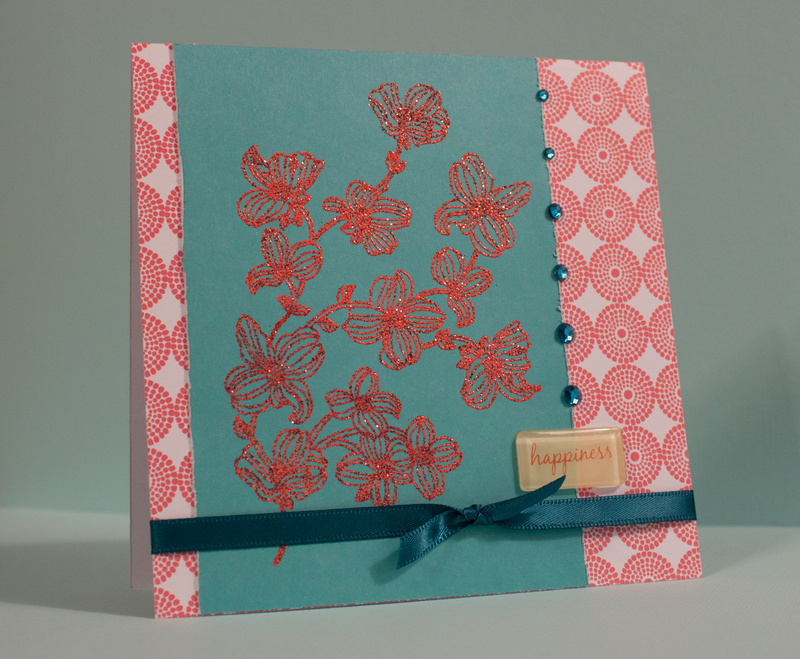 The card below is bold thanks to the bright pop of glittery orange from the embossing powder. I love embossing. It can get messy, with powder getting everywhere (much like glitter does), but the effect is eye-catching. Any stamping ink will work with embossing powders, but I recommend Versamark for its clear color and slow drying time. Although, when embossing in black, black ink will give the embossed image a more intense color. This entry was posted in Uncategorized and tagged embossing, flowers. Bookmark the permalink.